Sand Hollow Reservoir, north of St. George, where water diverted via the Lake Powell Pipeline would be stored. The Utah Water Resources Division and the Washington County Water Conservancy District asked federal regulators Wednesday to resume processing a permit application for the multi-billion-dollar Lake Powell Pipeline. An environmental impact statement has been hung up all year while pipeline proponents waited for a decision on a regulatory technicality. On Wednesday, the two Utah agencies sent a letter to the Federal Energy Regulatory Commission (FERC) saying they are ready to proceed even though the FERC hasn't issued its decision. 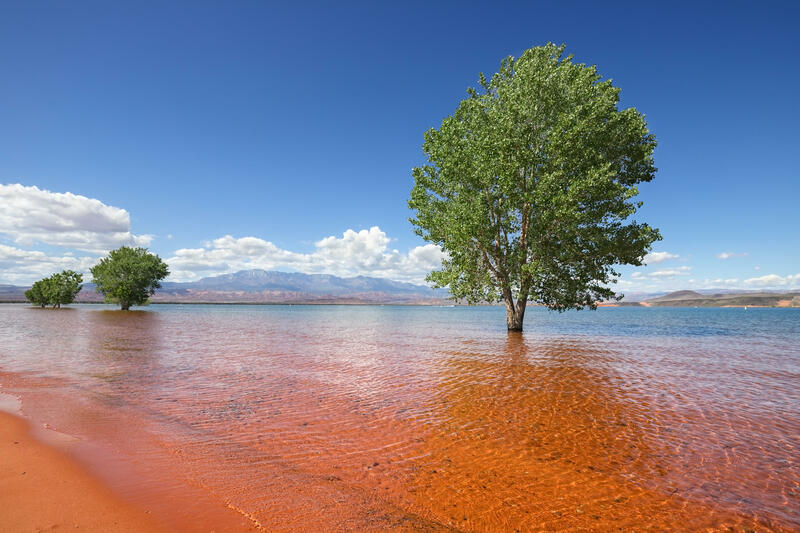 "We just think that it's important for us to get along with the evaluation of the alternatives and the environmental aspects at this time," Eric Millis, director of the Utah Division of Water Resources. The pipeline would carry water from Lake Powell halfway across the state — 140 miles — for use in fast-growing Kane and Washington counties. The water would be enough to support about 99,000 households. 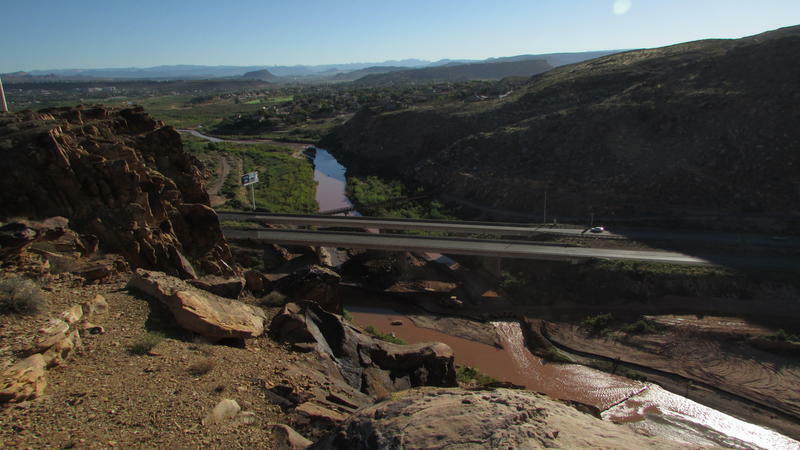 Millis denies a claim by conservation groups that the request is really about a seven-state fight that's brewing over the Colorado River Basin's water supply. But environmentalists say the downstream states — California, Arizona and Nevada — are worried about any water being diverted for projects like the Lake Powell Pipeline. 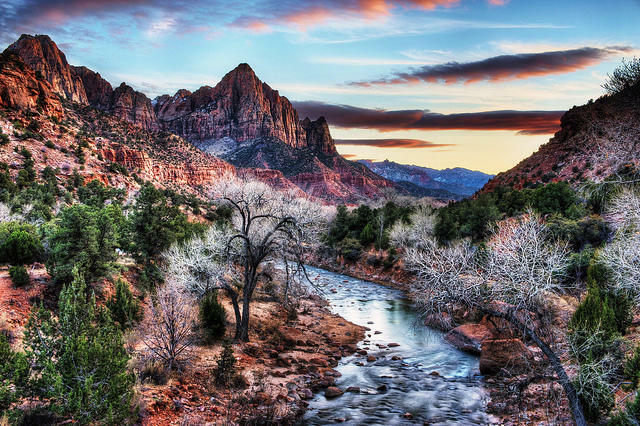 The Lower Basin states have relied on unused water from the Upper Basin states — Utah, Wyoming, Colorado and New Mexico — ever since the Colorado River Compact was signed in 1922. The state of Utah and Washington County are "worried that these Lower Basin communities are going to put their foot down and say, 'No more diversions'," said Zach Frankel, director of the Utah Rivers Council, an ardent pipeline opponent. Last week the U.S. Bureau of Reclamation announced that a water shortage is almost certain in the Colorado River Basin next year. If that shortage does materialize, the downstream states would face tougher conservation measures. Meanwhile, water for the Lake Power Pipeline was promised to Utah decades ago. A federal agency has pressed the “pause” button on the license for the Lake Powell Pipeline. The state’s making progress on its proposal for the Lake Powell Pipeline. But now it’s asking to pause its federal license long enough to get an answer to a crucial question.